WINNIE is the SWEETEST, most CUDDLY, "please hold me!!" kind of kitty you will ever meet! She is all about being with her 'person' and will purr & chirp away at you. 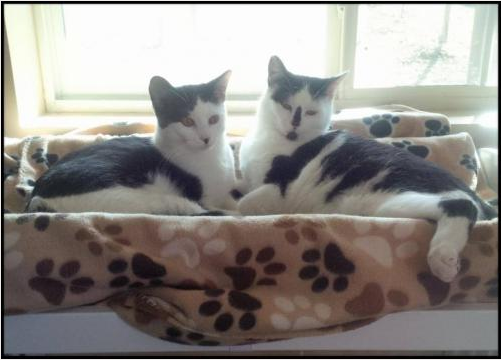 We are hoping to find a home for Winnie & her girl Tigger together. Two-for-one adoption fee if adopted together. 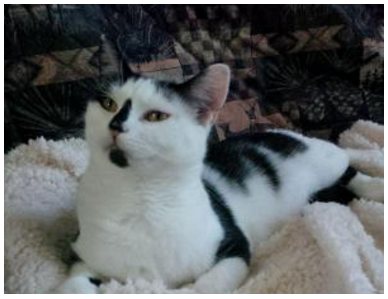 Help us find this beautiful mother & daughter a forever home! Here they are playing together: http://youtu.be/TA6Hd5_h6yA and http://youtu.be/TA6Hd5_h6yA. Winnie is one of the SWEETEST, MOST LOVING CATS WE'VE EVER MET! Sadly it's always the moms who are chosen last. They have done such an amazing job raising their babies, then watch them leave, one by one. Winnie deserves to be chosen. She deserves a family who adores her, just as she has her sweet baby girls. Please open your heart to this beautiful, petite, precious mommy. WINNIE delivered four beautiful babies on 4-2-14...Pooh, Piglet, Tigger & Roo. She has been such an amazing mommy to them, always doting on them, making sure they are fed, warm & loved. 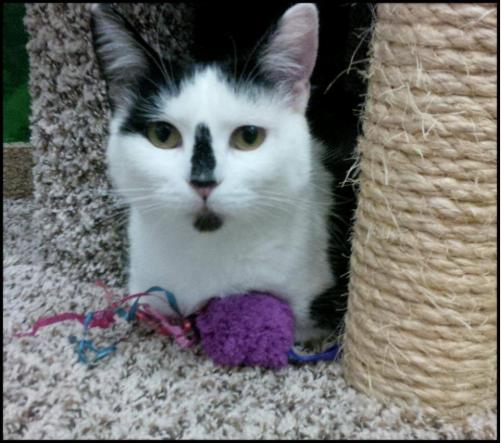 The kittens are ready for their own families, and now it's Winnie's time to be pampered on! 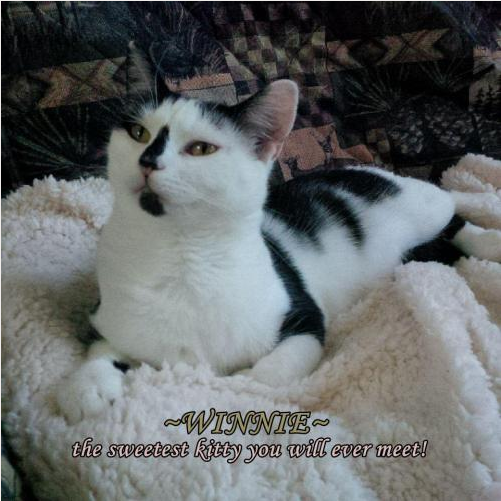 Winnie is a chatterbox and will have an entire conversation with you. It is our hope that Winnie won't be left behind as so many mommies are. Winnie deserves the very best in life, love & security, and we want to make sure we find that for her. Please consider opening you heart & home to this beautiful girl. She promises to give you her devotion! Winnie is spayed, vaccinated, tested negative for FIV/FELV, and is ready to start a new chapter in her life being a pampered princess. Please consider adopting this precious mama! We are 100% volunteers & will generally reply within 3 days of application submission. If you have any questions please email DollysLegacy@aol.com.